Supple nappa leather enriches the chain wallet in exquisitely woven intrecciato. 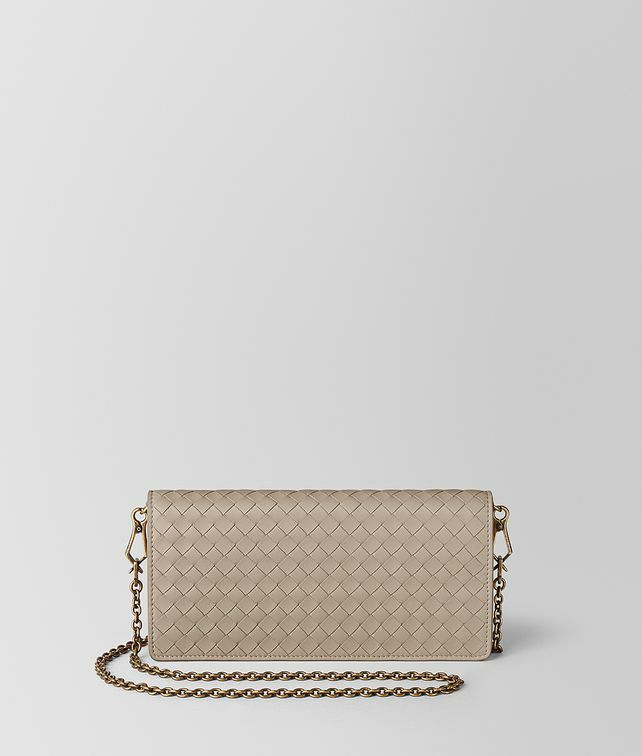 This essential was designed to seamlessly transition from clutch to shoulder bag with the addition of a detachable chain strap in a rich antiqued gold. Its interior is replete with pockets for the utmost organisation.